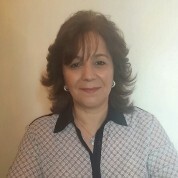 Souad has worked as a teacher in Massachusetts, Kansas City, Egypt and Morocco. In 2007, she received a Teacher of the Year Award after having taught in the Milton Public Schools’ French immersion programme for 12 years. She currently teaches at the American School in Tangier. Her approach focuses on problem solving, critical thinking and creativity to enable students to understand the world’s challenges, complexity and interdependence. She uses tools like student-made murals, online resources, guest speakers and the involvement of parents in the classroom to motivate students. After attending a rigorous two-year course, she has recently received her certificate from the Mathematics Specialists in International Schools programme. She is excited to be able to help her students grasp maths concepts in a new and meaningful way with her redesigned lesson plans. Souad has taken creative steps to eradicate bullying in her school, and her teaching strategy in general is geared towards breaking down barriers and encouraging understanding of other cultures and personalities.